Why not use covered call writing with only dividend-bearing stocks to generate three income streams; option premium, share appreciation to the (out-of-the-money) call strike plus the dividend itself? This article will explore the pros and cons of this approach to covered call writing. When is early exercise most likely? If there is a time value component to the option, the option holder (buyer) is always better off selling the option (thereby capturing both time value + intrinsic value) and then buying the stock prior to the ex-date to also capture the dividend. Exercising that same option will result in the loss of that time value component. Many retail investors are not aware of this and may exercise early even though it is not in their financial best-interest to do so. This is rare but could happen and that exercise notice may end up in our accounts. On the ex-date, share value will drop by the amount of the dividend that will distributed at the pay date. If a stock is trading at $20.00 and the dividend will be $0.50, the share value will decline to $19.50 on the ex-date, all other factors remaining the same. This price change has already been factored into the call sale price because call buyers are not willing to pay “full price” for these options knowing about the share decline on the ex-date. For the same reason, put premiums will rise in value prior to ex-dates. Share value declines by the dividend amount on the ex-date so how much additional value are we actually capturing? A case can be made for both covered call writing and dividend capture in our wealth-building arsenal. The question is whether we should combine the two. In my view, we should not. It is critical to focus like a laser on the strategy we have selected. If it’s covered call writing, then we concentrate on the 3 required skills: stock selection, option selection and position management. Stock selection requires us to screen from fundamental, technical and common sense perspectives. Dividends are secondary and perhaps icing on the cake if a screened stock does generate dividends but is not a priority that may detract from the stated strategy. As an alternative for those who like both income streams why not have two separate accounts? One that is dedicated to covered call writing and the other to dividend capture. This will allow us to maximize our skill sets and target them specifically for each of the declared strategies. AN EARLY ORDER DISCOUNT PROMO CODE WILL BE SENT TO THOSE ON OUR MAILING LIST. BCI: Favoring 3 out-of-the-money calls for every 2 in-the-money calls. The 6-month charts point to a neutral to slightly bullish tone. In the past six months, the S&P 500 was up 4% while the VIX (12.00) moved up by 25%. If you own AXP (American Express), remember Ex-Dividend is 7/5/18 and Earnings Report is 7/18/18. Paying dividend of 1.42%. One contract I sold Expired Worthless on 6/15 at Strike 100, which was a good thing since now I can hold it to Ex-dividend or unwind it at good peak around $101 or greater. This week’s Weekly Stock Screen And Watch List has been uploaded to The Blue Collar Investor Premium Member site and is available for download in the “Reports” section. Look for the report dated 06/15/18. I had a question regarding the BCI philosophy regarding the stock management part of the covered call strategy. I just finished my first CC cycle (June 15) and I think I did pretty well with the management of the option contracts (with a final income of about $1400, 4.4%). 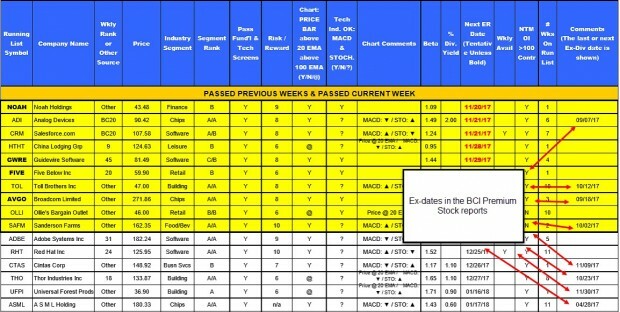 With the weekly reports we always have the option of the ‘reset button’ in the beginning of a new cycle so we can start with new stocks if the situation requires it and that is great. We can cut our losses on declining stocks and start a new cycle with fresh stocks that have passed the screenings and generate more income. But I wonder how you feel about the buy-and- hold approach with declining stocks that are from good companies that have positive buy (or even hold) ratings by analysts? Or is your philosophy more towards pushing the reset button in the beginning of a new cycle? (that is if the screening results are not good). Because the usual 3-4 week cycle is obviously not long enough to give the stock a chance to recover. I am not seeking any advise whether to buy or sell… I know your intention of providing the weekly reports is to provide us with resources and the decisions as to buy or sell is obviously ours so please feel free to comment and I would appreciate it! Glad to learn that you’re off to an impressive start. One of the strategies I have written about is “Portfolio Overwriting” This is used when we hold shares we plan to stay with for the long-term and don’t want to sell. We use only out-of-the-money call options using strikes that meet our monthly return goals. Now, for traditional covered call writing, changing underlying securities is a choice we have that will ultimately elevate our portfolio returns. Let’s say we buy 100 shares at $33.00 and sell the $35.00 call. We now are long $3300.00 worth of stock. At expiration, let’s hypothesize that the stock price declined to $29.00. We are now long $2900.00 worth of stock. When making our next-month portfolio decisions, we cannot let the original share price cloud our current decisions. Where do we want to place that $2900.00? In that same stock or a new one? We avoid earnings reports so rarely are we in 1 position for more than 2 months so changing the underlying is no major portfolio event. Finally, many investors may have a series of stocks they like for the long-term. Why not set up a second portfolio for just buy-and-hold stocks for those and focus like a laser on the rules and guidelines in the covered call portfolio to elevate returns to the highest possible levels. Thank you for your response, I appreciate it. What you said makes a lot of sense. In other words we have to manage our winning and loosing positions in a very objective way. Cash is what is important; not so much the underlying stock. So I may have to think short term when it comes to some stocks that I have in my covered call portfolio. I was planning to start a new cycle (July) but it looks as though with the trade war, the environment is not the best to do covered call writing for this cycle. So I may sit on the sideline for this cycle. Although a couple of my low beta stocks are in the green at the moment! How do you handle situations like this when the political environment is stressing the markets? as usual I’d appreciate your thoughts and feel free to comment. I believe you mention your comments that you would replace a stock position if it expired worthless and it not in the current run list or the following week’s run list at expiration. Just want to make sure you understand that just because a stock is not in the current run list at Expiration or in the following week after expiration, you do not have to sell the underlying or consider not rolling it (if ITM). As long as you can gain additional profit returns margins and your cost basis is in your favor, continue trading it unless the stock has really gone negative and there is no likelihood for a recovery to higher or profitable sideways levels. If I may bring an old note forward to our current post you gave me a smile when I read you are playing ROBO the same way I am! I have a pile of ETF’s I have held for many moons because I consider them investments not income options trades. Let’s see: QQQ, ROBO, SKYY, FDN, HACK, ARKW, ARKG, XLY, SOCL, ITA and I guess even GLD for starters? So I love Alan’s idea of holding different portfolios for different purposes. I do it within the framework of the same IRA. I recognize and admit in the comfort of friends here I hate it when a covered stock goes to the moon :). I likely need serious counseling :)? But if I am covered on a NVDA, PANW, NFLX, you name it and it takes a rocket ride I get frustrated :)! AlI of this is my problem: I think it was Socrates who suggested “Know thyself” :)? Do you have any video or blog that discusses how much time is needed for your system using the premium membership? I work full time and want to learn your process with paper trading for a bit, but I want to know how much time I need to allocate and if the time needs to be spaced out over a specific period. I was in your boat when I was working. Trading is tough when your focus is on something else. When Alan posts pictures from his seminars look at his audience: they are old retired farts like me :)! When I was working I plowed as much money as I could into index funds like SPY and QQQ and just let them ride. I still think that is the best approach only because it worked for me! I follow your report on 6/2/2018 and decide to play PANW, bought stock at 198.65 sold 207.5 strike 6/29/2018 (16 days to expiration). Today PANW at 213.19. Profit now calculate at 8.36/share, I know if wait 16 more days my profit will be $11.09/share It means I need to wait 16 days to get 2.73/share. I read the comments to your post and thought I would share what I would do with this covered call which is already $5.69 in the money with 16 days left to Expiration. You mentioned if you wait 16 days you will gain an additional profit of $2.73 per share (Stock has gapped up.). Alan commented that you can consider a Mid Contract unwind using the Ellman Calculator to calculate your loss for the Unwind. Another strategy is to monitor the time value of the In the Money option Gap Up trade and unwind when your loss is at a certain percent your Return Cost Basis of 198.65, then create an order to guarantee that. You want to do this to release funds for use in another covered call. Alan recommends to unwind only if you can make another covered call that can generate 1% plus the loss of the unwind, otherwise let the option ride to expiration. I usually use a 0.1% unwind loss as my marker for the unwind. 0.1% of 198.65 Return cost basis is 0.19865 = 0.20 or a loss of 19.8 cents per share in the unwind trade for a percent loss of 0.1% in your return. The 0.19865 is the time value of the In-the-Money option at the current price of the stock. To create an order to guarantee that, create a Sell Covered Call combination order (opposite of Buy-Write or a Sell of Stock with a Buy to Close option order), set a GTC limit order, and enter the limit as Strike – Time Value or 207.5 – 0.20 = 207.3. The 207.3 is exactly equivalent to the Last Price – Premium of the call your are unwinding. This Credit Limit is only is only valid for ITM Options, not OTM options. I have proven this in another blog post, though this is rarely mentioned as being true in creating an unwind order. If you are happy with a 0.2% loss or $0.40 per share loss in the position, you enter the corresponding credit limit. Once you create the order GTC, it will execute when limit is satisfied. I normally let the order ride till Wednesday of the week before expiration, since I most likely can find a trade with a 1.2% to 1.8% return at the late date. Remember the commission might add another 0.1%, depending on how many shares are in the position and the Strike level. For your trade and a $7.00 closing commission and 100 shares in the trade, that’s $0.07 per share or additional loss of 0.07/198.65 = 0.04%, which is negligible. For a $50 stock the commission loss effect is another 0.15%. Year-To-Date is 2.47%, which is profitable at last for the year. I notice from Alan’s comments that S&P is up 3.96% Year to Date. So I am heading in the right direction. (Last year’s performance was 24%) Current positions in 4 accounts: AXP, BOFI, GSG, NSP, SPLK, ZBRA, BRKS, VSH, CAT, NOW, and IDTI. Some are Long and some are CC at this time. Waiting for higher price to overwrite (add some short option legs). Year to Date: -0.33% (loss). Staying away from Volatile Oil and Gas related ETFs, which have not helped me. Current Positions: GSG, KBE XLF, XHB. As I predicted, KBE (Purchased 12/1/17) turned OTM just before expiration. XLF as well. Still holding XHB at a loss, hoping for some recovery, while unwinding another under-performer earlier. Thanks for the update, Mario, great results in a damn tough market! Last year was easy when all Trump talked about was tax cuts, defense spending and less regulation. This year with “Trade Wars” who knows which sector or the broader market will suffer his wrath any given day? Add interest rate rises and I will not yet call the market “toxic” but we are dancing in a mine field. Still, when I look at VIX and other sentiment indicators along with seasonality I can’t build a case for panic: not that I ever would :). What is your recommendation or best practice for capital allocation? Is it acceptable to allocate a large percentage of my account in covered call writing? Or is there a limit one should observe for capital reserve? My thoughts right now are that I don’t see a reason not to allocate 100% during times of strong market bull moves. And then buy low protective puts when I see market turning toward the bear. Is this reasonable? I am a firm believer in asset allocation. For an investment portfolio in its entirety, allocation can include stocks, real estate (our home and perhaps more), bonds and cash-equivalents (CDs, Money Markets etc.). The specific breakdown of that allocation is based on age, personal risk-tolerance, trading style and goals. I do not believe that 100% of any portfolio should be dedicated to any one asset class. 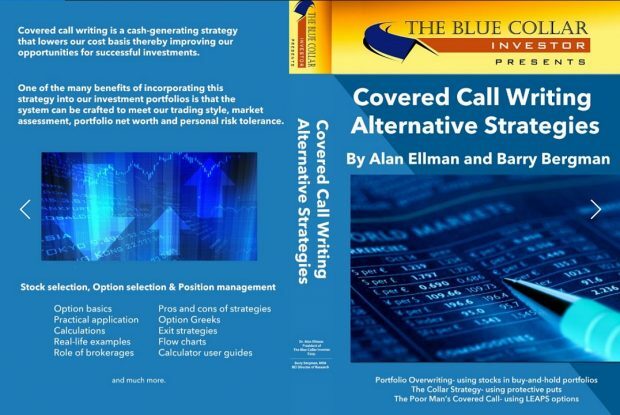 Now, within the stock portion of our portfolios, the bulk of those investments can be dedicated to covered call writing (90% of the stock portion of my personal brokerage accounts is devoted to option-selling). This is a personal decision based on the factors I previously alluded to. The main reason I am so heavily invested in covered call writing and put-selling is that this is where I have enjoyed the greatest success. 100% dedicated to stock portion of portfolio? PERHAPS.